AMD's approach to new generations of graphics processors has been different for the past two generations. The Radeon R9 200 series initially saw the introduction of just one silicon, codenamed "Hawaii," which drove the company's previous flagship R9 290 series, while the rest of the lineup saw a cascading re-badging from the previous generation. AMD's previous generation flagship, the HD 7900 series, went on to become the performance-segment R9 280 series, and so on, and the performance-segment "Tonga" silicon was added afterward. The story is predictable even today. With this generation, there is essentially one new silicon, the HBM-equipped "Fiji," which will be launched later this month and will eventually drive up to five products from AMD. The previous-generation flagship silicon "Hawaii" now drives AMD's performance-segment products, the Radeon R9 390 and R9 390X we're reviewing today. The Radeon R9 390X is based on the "Hawaii" silicon (now referred to as "Grenada" without any silicon changes) and features the same core-configuration as the R9 290X. The standard memory amount has been doubled to 8 GB across the board and clock speeds see an increase from 1000 MHz to 1050 MHz on the core and from 5.00 Gbps to 6.00 Gbps on the memory. AMD's approach to pricing is interesting. Expected to compete with the $480 GeForce GTX 980, the R9 390X is boldly priced at $429. 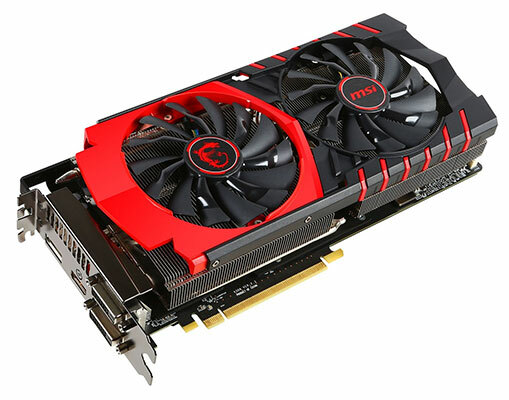 There have been no tweaks that we know of to the chip's electricals, and so custom-design boards such as the MSI Radeon R9 390X Gaming 8G we're reviewing today feature the same heavy-spec TwinFrozr V triple-slot cooling solution the company is using on its enthusiast-segment dual-slot GTX 980 Ti Gaming. MSI's card comes with a minor factory-OC that has the core running at 1100 MHz and memory at 6.10 Gbps. We've never tested a Radeon R9 290X 8 GB before this, and AMD is not sampling their reference design, so we're eager to see how the increased memory helps this chip, particularly at 1440p and 4K resolutions with some of the newer memory-hungry games we've added to our bench suite in the past few months.